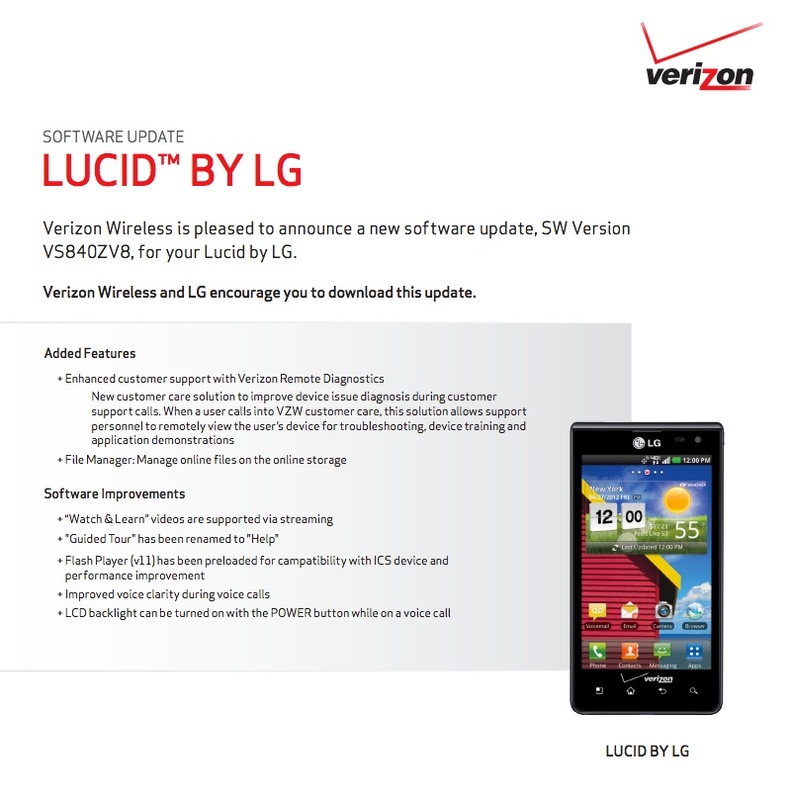 Along with the Galaxy Tab 7.7, the LG Lucid on Verizon is set to receive an update in the near future. The build number is VS840ZV8 and includes Big Red’s Remote Diagnostics tool, a file manager, Flash Player, and more. This is the first update for the Lucid since receiving Ice Cream Sandwich back in October. Nice to know that LG and Verizon are continuing to support a mid-range device such as this.